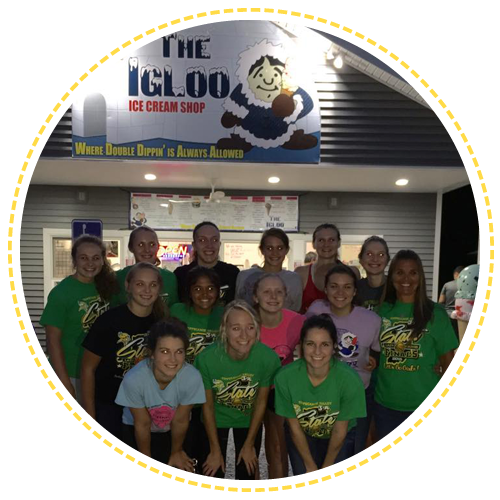 Treat your family and yourself to the refreshing ice cream we offer at The Igloo Ice Cream Shop in Silver Lake, IN. 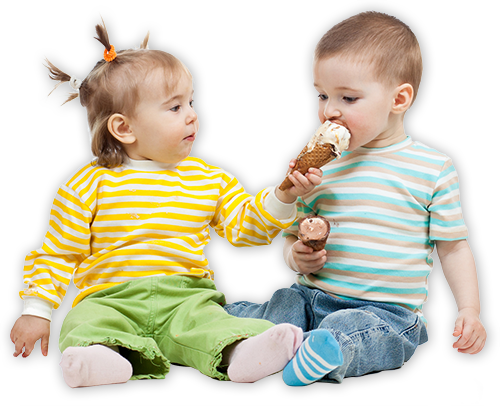 Take your pick from our extensive selection of ice cream flavors that you will absolutely love. Whether you are a fan of our Butter Pecan or our exclusive Just Got Serious (salted caramel, cashews, and fudge swirl), you can count on our ice cream shop to serve you with mouthwatering, premium ice cream that will make you want more! Hi, I’m Marilyn McDonald! 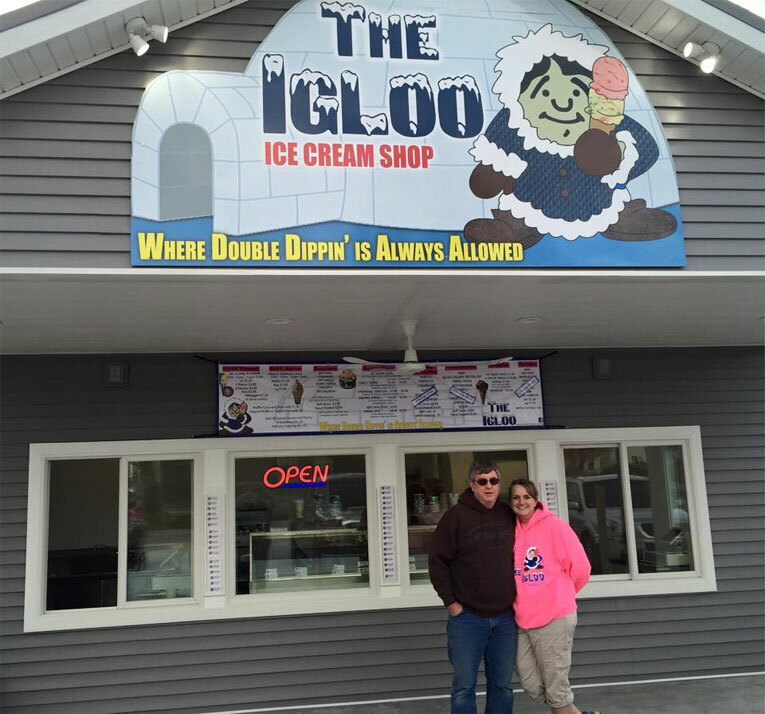 I own and operate The Igloo Ice Cream Shop along with my husband Trent. What started out as an empty lot next to my Subway in downtown Silver Lake, IN has now become a walk-up ice cream shop. 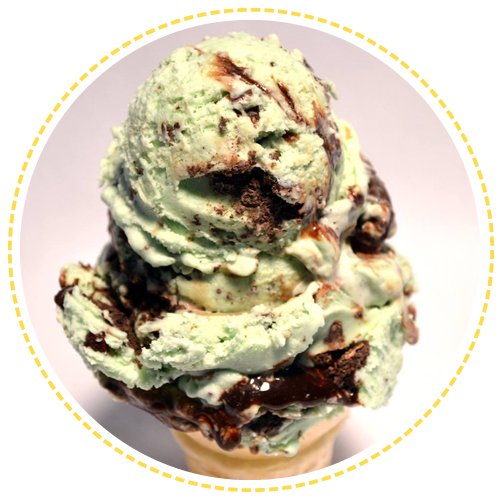 I searched far and wide to find the absolutely best hand-dipped ice cream and I found it in Chocolate Shoppe Ice Cream from Wisconsin. This ice cream is so creamy and tasty that I dare you not to say mmmmmmmm after your first bite! We offer between 30 and 32 hand-dipped flavors that we rotate periodically. You’ll have to try the Strawberry Cheesecake (one of my new favorites) or wait – the Ultimate Oreo, or maybe the Salted Caramel. I can’t choose! We offer wafer, sugar, and waffle cones, or you can to it in a dish like my husband Trent. We also offer great soft serve, sundaes, and shakes. The Avalanche is for those of you who just want ice cream and toppings, spoonful after spoonful. We also have specialties, including the Lil’ Eskimo for the kids. My grandparents started the original “Igloo” on the north side of Silver Lake way back in 1958. So when we decided to build an ice cream shop we knew we had to keep the family name. "So happy to have this quality ice cream available here. 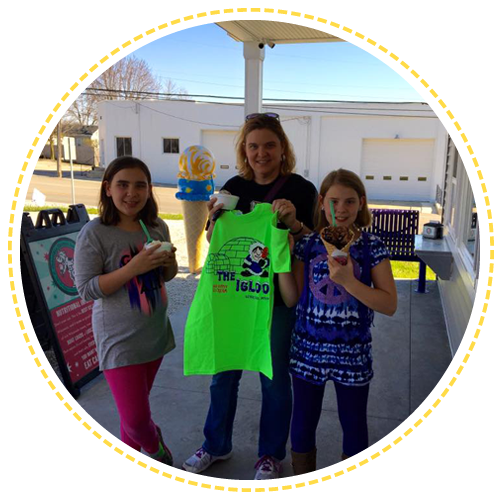 We have tried 4 flavors and they were all really, really delicious." "Simply the best ice cream around. A great choice of flavors." 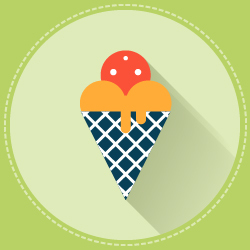 "I had two scoops of black cherry ice cream in a waffle cone... delicious! The ice cream was creamy with lots of black cherries! Super friendly staff too!" 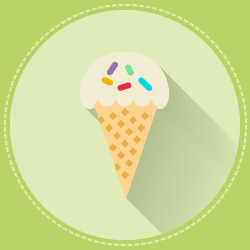 Are you a big ice cream fan? Well, here’s good news for you. Enjoy more than 32 hand-dipped flavors when you visit our ice cream shop. From classic flavors to more adventurous ones, we truly feel that this is one of the best ice creams you will ever taste. View our menu. Raising Money for a Good Cause? We Want to Help! 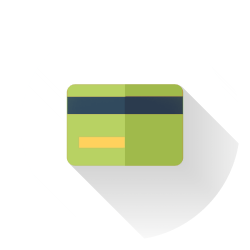 With the unending love our business has been receiving, it is now our turn to pay it forward. 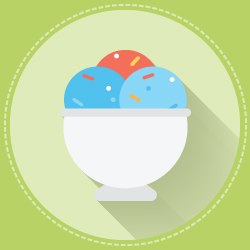 Allow us to help you raise money for your cause by selling ice cream at various events. 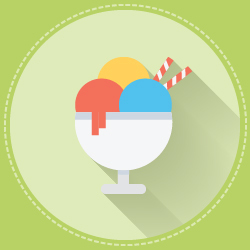 Inquire at our ice cream shop or click here for more details. 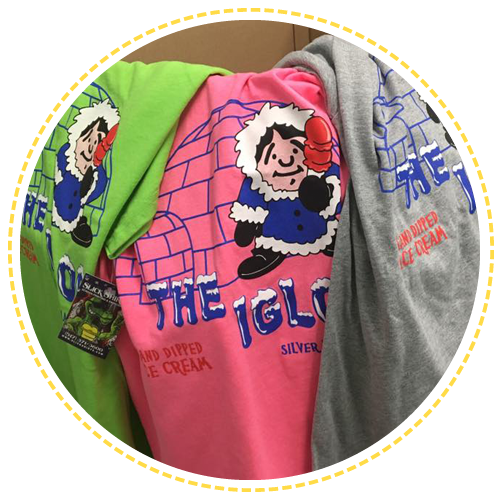 Show off your love for The Igloo Ice Cream Shop by purchasing our beautiful merchandise. We offer sweatshirts and t-shirts in different colors and sizes. You can also savor our flavorful ice cream using our color changing spoon and bowls. Drop by our shop today or purchase these items here! 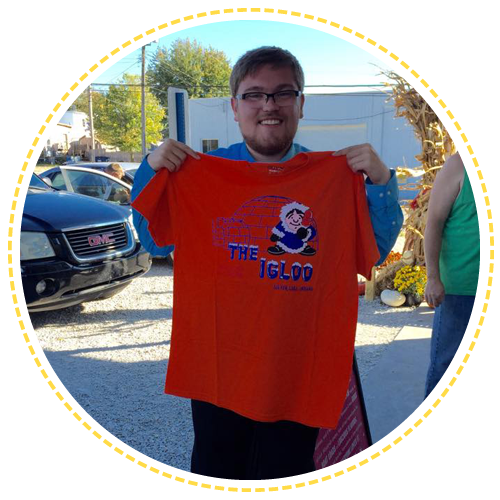 Check Out What's Happening at Igloo! 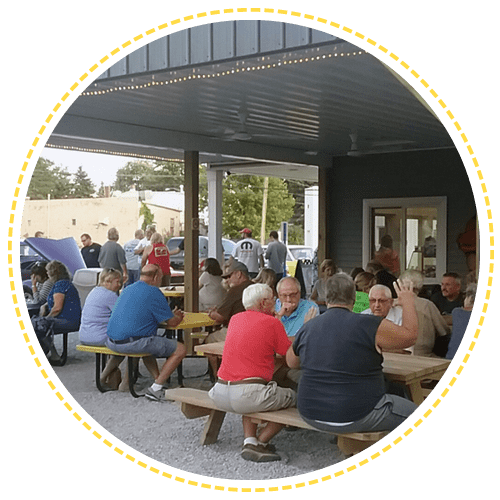 Be in the loop on the latest happening at our ice cream shop. Better yet, join our fun events! 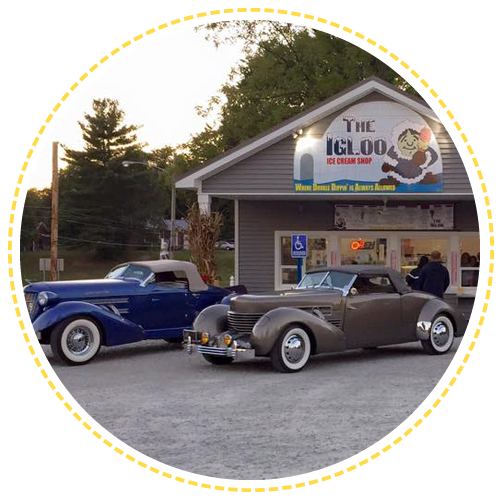 We organize car shows and other exciting activities that you can be part of while savoring our heavenly ice cream. Entertainment plus yummy treats – what else can you ask for? 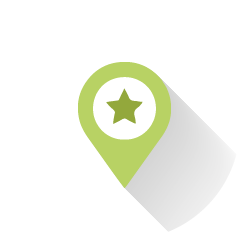 Click here to see what’s coming up! Get a Double Dip Card! Take advantage of our double dip card to enjoy a free frozen treat. You are entitled to get a punch on the card for every purchase of our double dip ice cream. Once you have filled your card with 10 punches, you can get a double dip ice cream for free. That’s not all! Collect 5 full cards and take home one of our t-shirts. Start collecting today! 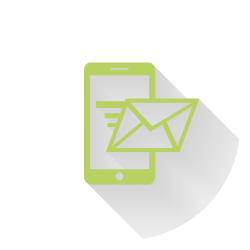 Give us a call to learn more about our shop and the ice cream flavors we offer.